We are pleased to mark the 100th edition of our Weekly Roundup of drone news, commentary and analysis, art, and technology. We sent out the first Roundup almost two years ago to a group of Bard students who were taking our first drone studies class, a human rights seminar. Today, the Roundup has thousands of subscribers and is widely recognized as a reliable source of drone-related content. We would like to thank you for your decision to read our Roundup, and we look forward to continuing to keep you in the loop. As the president of the Association for Unmanned Vehicle Systems International from 2008 to 2014, Michael Toscano served as the drone industry’s leading representative and advocate. During this period, drones turned from a niche technology into a mainstream tool for a variety of applications. In a wide-ranging interview with Richard Whittle, Toscano explains why he believes drones will create jobs and save lives, and shares his predictions for a drone-filled future. For the full history of the case, click here. On NPR’s “All Things Considered,” Brookings Institute scholar Ibrahim Sharqieh explains how the American drone campaign against al-Qaeda in the Arab Peninsula has contributed to the instability in Yemen. At War is Boring, Adam Rawnsley considers the role that Iranian drones play in the conflict in Iraq. 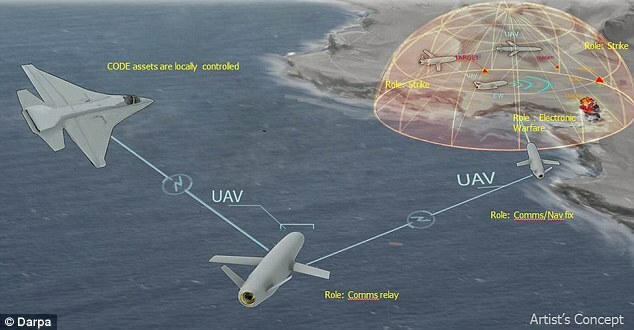 For more on Iranian drones, click here. The Guardian obtained a copy of a September 2014 report by the Pentagon’s Inspector General that criticizes the Air Force’s plan to purchase more Reaper drones. At Lawfare blog, Jack Goldsmith argues that, contrary to statements made by the President at the State of the Union, the White House does not want a new Congressional Authorization for Use of Military Force. The BBC interviewed Brandon Bryant, a former drone operator who has become an outspoken critic of American drone strikes. In the latest podcast at the Bureau of Investigative Journalism, Adam Baron discusses a controversial November 2012 drone strike in Yemen that killed Adnan al Qadhi. At the Huffington Post, Medea Benjamin speaks with Kathy Kelly, a peace activist who is serving a three-month jail sentence after being arrested last year during an anti-drone protest at Whiteman Air Force Base in Missouri. For our interview with Medea Benjamin, click here. At the Washington Post, Matt McFarland suggests that Britain is an example of how to properly certify commercial drone pilots. At Slate, John Frank Weaver argues that America’s “14th Century Drone Policies” are hurting opportunities for innovation. At Popular Science, Kelsey D. Atherton considers whether aerial drones could serve as useful explorers on Mars. For our review of “Grounded,” click here. At the UAV Guy blog, Iain Butler posts a in-depth examination of Drone Deploy, a software that allows users to create 3D maps using aerial video footage from drones.